Turn your world upside down just like Top Gun. Why not take the Mother in Law spin as well and "Bring back that Lovin’ Feeling". With the stick between your legs flying this machine with +6g and -3g is no yoke! 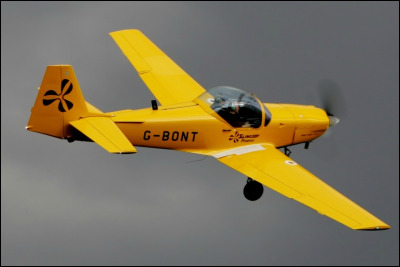 You'll be following in royal shoes, as the Slingsby Firefly was used as a basic trainer for the RAF between 1995 and 2010 and one of our two machines came from RAF Cranwell where HRH Prince Harry did his basic training for the RAF flying officers course in 2009. You could say the Princes old ride now resides at the King of Flying Clubs! We have access to two fantastic fully aerobatic two-seater with variable pitch propeller, probably the best two examples you’ll find. It comes with a five point harness, fully aerobatic engine with inverted fuel and oil systems and parachutes. 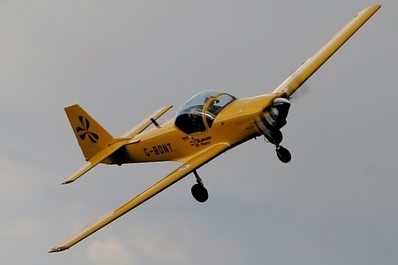 It’s the ideal aircraft for training for the AOPA aerobatic certificate. Take Flight Aviation is a registered flight training organisation with AOPA and we have four great aerobatic instructors to help. One of our two Slingsbys is permemantly based at EGBW.